Enough to convince you? I hope so. When it comes to video we have old kids like YouTube and some new kids on the block such as Periscope and Twitch TV. Let’s take a quick peek at each platform and then dig into how we can use them to reach new audiences. YouTube has over a billion users, with mobile YouTube use reaching more people between the ages of 18-49 than any cable TV network in the US. You can target any demographic on YouTube, with the ability to use either the service’s standard video platform or its live stream feature. Since its launch several months ago, Periscope already boasts a cool 2 million active users. Brands like Red Bull and Adidas adopted Periscope early. Now many business influencers are taking advantage of the platform. Periscope is a live stream video platform with videos that only stay current for 24 hours (though you can auto-save the broadcast so you can edit it later and upload it to YouTube). Periscope’s leading demographics are 16-24 year olds, and – surprisingly – 55-64 year olds. Twitch TV is mainly a gaming platform where gamers broadcast live streaming video, enabling others to watch and join live chats as the videos stream in real time. A few of the different types of live streaming you’ll find on Twitch TV include gaming, sports, music, TV shows, news, events, technology, education and even religion. Currently, the strongest Twitch demographic is 18-24 year olds, followed by 25-34 year olds. You can set up Twitch to automatically alert people on Facebook and Twitter, or you can link Twitch to YouTube and create YouTube annotations so that people watching any of your YouTube videos are alerted of your live Twitch stream when you’re broadcasting. You can even create short highlight clips to showcase on Twitch when you’re not live streaming, or to export to YouTube to help promote your show. Think of it like creating ads for your show, because when you’re not presenting a live show, your show isn’t really available. The benefit of live streaming content is that there’s a massive urgency to pay attention, and attention is something we struggle to capture – most people’s attention span lasts just 4 seconds across 20% of website content viewed. For this reason, live streaming is something all marketers should be considering as a new strategy in our business. 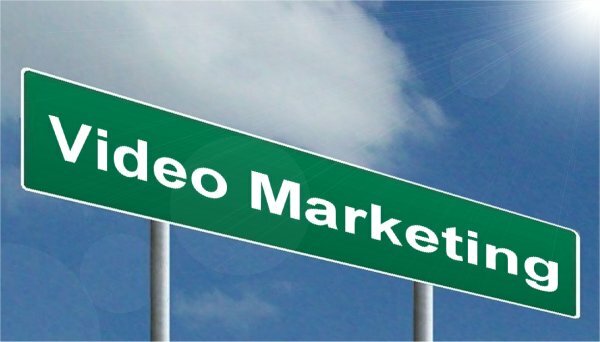 When it comes to video marketing, the important thing to recognize is that there are literally millions of people across these platforms – all of whom could be part of your audience. The idea with live platforms like Periscope and Twitch TV is to come up with creative angles and ideas that you could live stream for your marketing purposes. If you’re in a more corporate business, for instance, entertaining interview shows or news features could work well. If you’re in a service based business, on the other hand, it may be interviews or news with clients or colleagues that capture attention for you. While I was over on Twitch TV doing research for this article, I found a guy doing an impromptu guitar performance live. There were 842 people viewing and interacting in the chat live, while the Twitch TV channel itself had 14,868,965 total views. I also came across a girl doing a (very bad) cooking show. Despite its low quality, it still had 1,208 active viewers watching the livestream and 827,675 total Twitch channel views. Suffice to say, I think it’s safe to say that Twitch is currently an underutilized resource. So how do you get started? Being that it’s predominantly a gamers site, just keep fun and entertaining in mind if you choose to use Twitch TV. Of course, demonstrations like these would also work equally well on both YouTube and Periscope, so don’t count them out of your video marketing mix. As Business News Daily says: “Periscope is a more personal way to connect with customers,” thanks to the fact that it lends itself perfectly to the provision of fast, efficient and interactive customer support. Impress current customers by offering immediate support in real time while, at the same time, having your videos attract new customers to your business. The idea behind this strategy is to use video platforms like YouTube, Twitch and Periscope to show customers how to get more effective, efficient use out of your products and services. No matter what the industry, customers are attracted to bonus support services, so you could even use it as a sales pitch on your website, featuring a ‘live weekly training session.’ Or, host regular Q&As so customers know you’re there to back your products and services. When it comes to video, it doesn’t have to be as grand as you might think. You aren’t Hollywood; you’re not going to make a blockbuster video for your channel (unless you’ve got a serious marketing budget to spend). Instead, you could simply take any blog post, a research study, even someone else’s article or blog post and discuss it in a regular news feature. This type of video would work well as a standard video or a scheduled live feature for your business. Why not bring customers into the fold by sharing what happens in the office, out on tour, in meetings and so forth? This would work particularly well on Periscope, where users are accustomed to this kind of behind the scenes content. Live streaming doesn’t have to be perfect – which is great. No matter how you do it, it helps give your brand a real personal touch and creates the trust customers need to truly connect. These are just a few ideas you could potentially use to find new audiences through video marketing; the point being that there are millions of people using video platforms that could become part of your audience. It’s up to you to decide if you’ll use just one platform or develop a content strategy that works across them all. As with all things you do with your content marketing, the important thing in deciding to use them is to have a regular broadcasting and/or publishing routine. If you’re any good at what you do, then it doesn’t matter where you put your content, people will discover it – especially when there’s millions of people waiting to discover new things. Are you using any of these video platforms? Or has this post inspired a new range of ideas? Let me know by leaving a comment below. Hi Aaron, this blog post is indeed a great way to expand your connection using the different social media platform namely Twitch, Youtube, and others. The tips that you have provided will give them ideas on how they can optimize and boost their accounts. Thank you so much for sharing this very informative blog post. Looking forward to another blog post. I totally agree with your idea, Aaron. But I think Twitch attract more audience because people nowadays are fond of playing games. And for me, Twitch may not be as familiar as YouTube to new users, but the navigation is just as easy and arguably offers more in the way of discovering new channels, communities, and diverse content. Yes I think there is a lot of room to use live streaming as a marketing message distribution channel and interaction/ communication source. As the data connection streams get better, the mobile device capabilities are getting more and more mobile video concentric. It is only a matter of time before the truly independent ( as chosen by viewers ) news and event productions get the viewership and reach the old school networks had. Hey Russell! My biggest concern about live streaming is validation to business owners. Saying streams increase your brand's reach is not enough for them anymore. What about lead generation? What about costs per stream production? I think that streaming sites that lack an ability to gather lead generation might end up becoming a hard sell for digital marketing. Any thoughts? Hey Kathleen I get that the tracking and ROI of live stream may be a hard metric to nail down, though it is a not a content stream with the production costs of conventional video formats. Again the content is going to be the reason why an audience will tune in, as well as the distribution channel being a relevant match for the market audience. A Hangwith W/- or periscope live stream broadcast from the sideline of a sports event for a sports goods company is going to be a good fit. A clickable link or call to action on the live stream broadcast is available now and as the live stream capabilities get better so will the opportunities as a lead generation tool be enhanced. Hey Russell! Great points. I agree content is going to be key to get your audience to tune in. With great content comes great engagement. SEMrush has been experimenting with clickable links during our blab chat with special promo offers. I just wish this was handled within the streaming platforms themselves.